As we reported then, Neither the posted info nor the comments have issued more specific demands, than to “topple this corrupt regime” but 500 people have liked the page which has been up since around February 8. The current Emir of Qatar, Hamad Bin Khalifa took control from his father in 1995. He has been criticized in the Arab world for meeting with Israeli minister Tzipi Livni, and for supporting the Al Jazeera news network which is critical of other Arab governments and frequently airs western and Israeli views. The new Facebook page has 35,266 followers, so some momentum is being built somewhere, whether within or without the country. PressTV and Middle East Online have both reported the page today, so probably extra media attention has helped. Meanwhile, Ennahar Online has announced a failed coup d’état against the Emir by “thirty senior Qatari army”, and they assert that some are now under house arrest. They also report a declaration, signed by 66 political opponents as well as Qatari personalities and ruling families, including 16 figures from the ruling family, in which they announced the non-recognition of the legitimacy of the Emir Hamed Ben Khalifa, and sought to replace him by his brother Abdelaziz Ben Khalifa ben Hamed in France. The statement, which Ennahar provides no source for, they say contains serious accusations against the current Emir of Qatar, among others, relations with Israel and the United States of America. He is accused of working for the United States and creating discord among Arab countries in addition to his involvement with the family of his wife in corruption and social injustice against thousands of Qatari citizens. The signatories of the statement have mentioned the wife of the Emir, known as “Sheikha Mouza Bint Nacer El Mesned “, whose appearances in various media, clothed contrary to the customs of Qatar which they considered “indecent”. 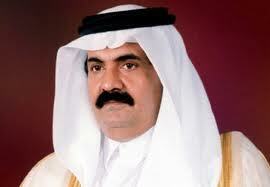 His children, they add, have monopolized power and property of Qatari through use of power. Ennahar ties this report of an attempted coup d’état and an important declaration to the Facebook group, saying the signatories to the declaration, who they do not name, ask people to use Facebook to call for the end of the regime. This entry was posted in Wikileaks Central and tagged News, Protest, Qatar, Revolution. Bookmark the permalink.